A sports agent wheels and deals behind the scenes to do what's best for his clients during an NBA lockout. 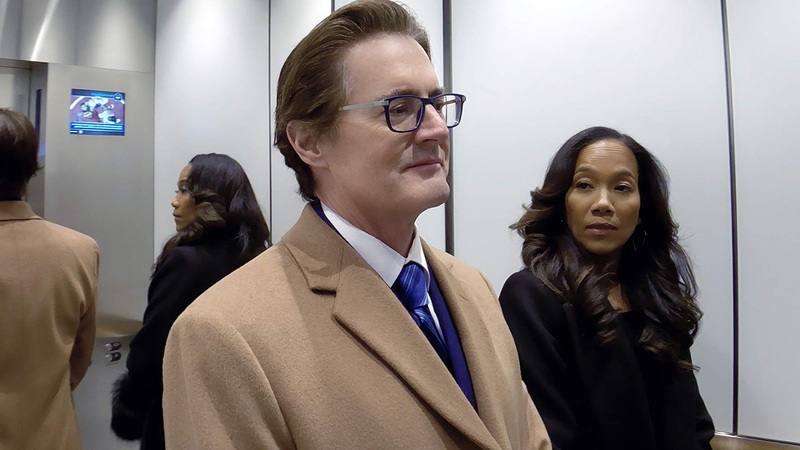 "High Flying Bird" is the second feature film directed by Steven Soderbergh to be completely shot on an iPhone. We thought Soderbergh very successfully used that device to his advantage for his last film "Unsane." We, unfortunately, cannot say the same this time around. 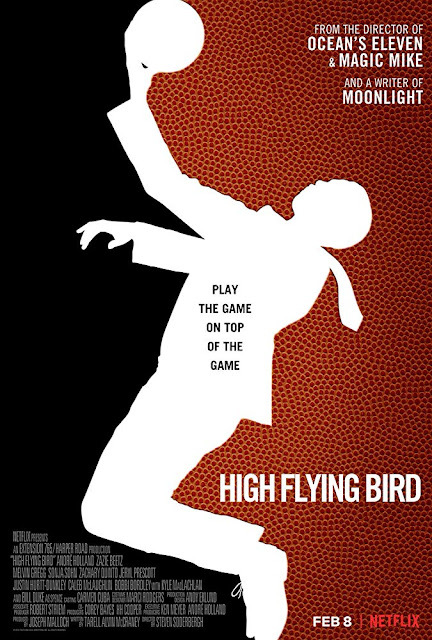 The story focuses on a sports agent named Ray Burke (Andre Holland), who is facing difficulties during an NBA lockout. His company is struggling because apparently they only represent NBA players and one of Burke's new star signings, #1 NBA draft pick Erick Scott (Melvin Gregg), is freaking out because his signing bonus won't come through until the lockout ends. Burke reassures his boss (Zachary Quinto) and his clients that he has everything handled and that he'll do what's best for their stars. We appreciate the hell out of the fact that Steven Soderbergh is experimenting with shooting movies with his iPhone. It sends the message that anyone can be a director using only the equipment they have in their pocket at any time. If a big-wig director like Steven Soderbergh can do it, so can you, make your movie. That being said, despite having a seasoned leader behind the camera, this movie looks terrible. The camera on the iPhone gives the whole picture a weird convexed semi-fish eye look, yet somehow, the way the camera focuses makes the images appear much more flat. The lighting can also be really, really bad. Sometimes, the images looked so bad that we couldn't tell who was in each scene. Zachary Quinto is a distinct looking guy who has big, bushy eyebrows, but we couldn't even tell it was him in some frames. We know our television is not to blame because we have a brand new 4K TV (we can hear the comments saying "ugh, snobs" from here...it was on sale, and we had gift cards!). We're not sure what the hell happened, but the picture quality looked much better in and much more fitting for a project like "Unsane." Beyond these technical mishaps, we found the content of the movie itself to be an absolute slog. Characters walk around prattling off banal, sometimes confusing, sometimes mysterious dialogue that isn't sharp or even interesting, which is a little unusual for Soderbergh considering he's written some smart scripts. Almost all of the characters here are as thin as can be, and quite frankly, we didn't connect to any of them and couldn't care less about any of them. Soderbergh tries to present the argument that the NBA is exploiting its players and that the people who play basketball for them should do something to retain more power for themselves. Though this is an interesting point to make, the stakes don't feel that crucial or critical considering the average NBA player makes ~$7 million/year with a median pay of about $3 million. Soderbergh doesn't capitalize on this compelling point and saw fit to relish in the vagueness of his script for the *~drama~* of it all, but it just didn't work for us. The movie is only 90 minutes long, but by the time we were 15 minutes into its runtime, we were wondering when it was going end. 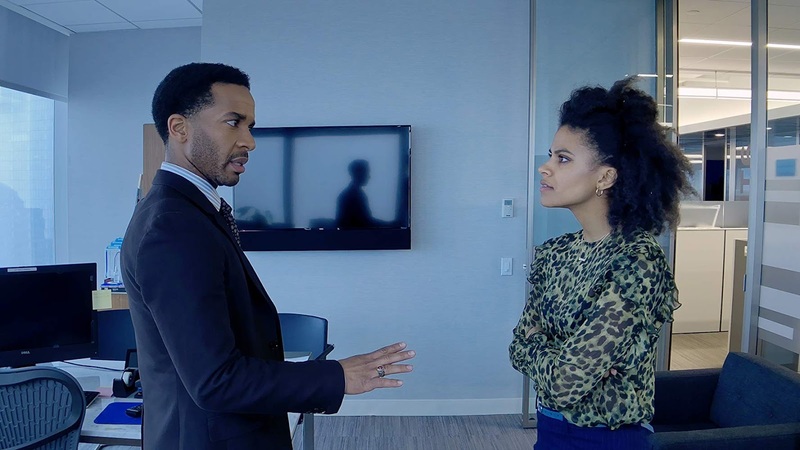 We love Andre Holland and Zazie Beetz, and we're huge Steven Soderberg fans, but not even their collective talents could save "High Flying Bird" from being an uninteresting, poorly constructed mess. We've enjoyed almost all of Soderbergh's past films (we loved the criminally underappreciated "Logan Lucky" from 2017), so we're sad to say that trend ends here.